Depending on who you ask, Minecraft is either one of the most awesome or most annoying games in recent memory. On one hand, it’s more or less a virtual Lego set that, if you’ve got the time and creativity, gives you a digital palate upon which to get your Picasso on. On the other, it’s just a game with no point where you throw blocks around. 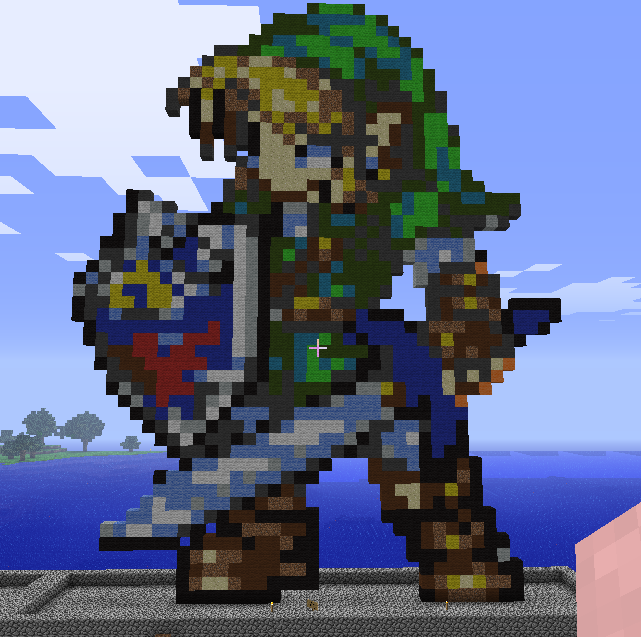 Minecraft modder Gary520 has crafted a world inspired by The Legend of Zelda: The Ocarina of Time and A Link to the Past, complete with memorable locations, weapons, and of course, Link. Gary520 says we can expect over 10 hours of gameplay, 8 dungeons, and tons of secrets. Hats off to you, Gary520. It’s pretty awesome that you managed to take a game and then make a whole ‘nother game out of it, in the process bringing the original game to its logical conclusion and eliminate the need for it to ever exist, ever..
← A Pandora For Games?